One of the more hokey of the B-Film interactive FMV titles on the Sega CD is Wirehead, the story of mild mannered man Ned Hubbard who has a wire in his brain that allows you to control him. In this game you follow Ned on a crazy adventure that mostly involves you picking directions on the d-pad of which you have no context for what or why you should select them. I recorded the game in whole, all 35 minutes of it, and of course threw on some commentary, enjoy. Gaming has always been embedded in the concept of more than one person playing at once. Whether it’s the past time’s roots in competitive arcade games like Pong or expanding out to couch co-op with a friend in Gears of War, the concept of multiplayer is as old as gaming itself. Fred and Jam explore the roots and evolution of multiplayer gaming and share of their favorite stories with games they didn’t play alone. Mirrors Edge was released back in 2008 and believe it or not this year was quite the year for EA releasing new IPs to the new consoles. We got Army of Two, Dead Space, and Mirror’s Edge all in the same year. Now whether you like these titles or not is a matter of opinion but this was a good time to be a gamer. Despite my love for survival horror and heartily awaiting the arrival of Dead Space, it was hard to ignore just how unique and different Mirror’s Edge looked. It’s time to revisit this title and see how it holds up today. To our shock and wonder, there were things announced at this E3 that we never expected. Without spoiling them here, let’s just say that if you’ve ever dreamed of a sequel or remake and told it would never happen, there’s a chance it may have been announced at E3. Listen in as Fred and Jam talk about the powerhouse announcements from those of us who’ve been asking for decades. From joysticks to buttons, d-pads to should triggers, analogs to dual analogs, the video game controller has gone through some interesting and groundbreaking evolution over the course of gaming. More shocking than each one’s look is the fact that we all learned how to use them to conquer some of gaming’s toughest titles. Bethesda: Sunday Night, 10pm Eastern – Press Conference Live on All Games with the radio show broadcasting the commentary and live chat. Head to allgames.com and click on “chat” to join in the fun. If all goes well we should have captures of these press conferences with the commentary available at your convenience once they end. 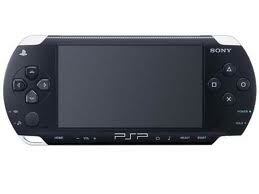 The Sony and PC press conference will most likely streamed to a UStream site, links available shortly. In addition gameplay demos and streams will be going on all week. 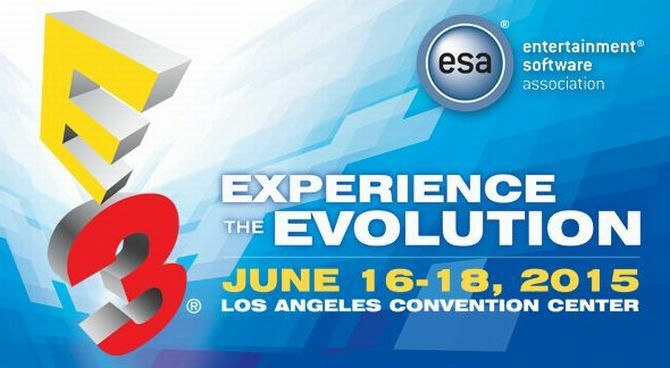 Join us for E3 2015! Many of you are probably as psyched and Jam was to hear about the announcement of Fallout 4. Many consider the true Fallout series developers were creators Black Isle Studios (Fallout and Fallout 2 on PC), which is why fans appreciated Fallout 3 but were more psyched for Fallout New Vegas. Developed by Obsidian Entertainment, largely made up of former Black Isle members, Fallout New Vegas was more like the original Fallout titles adapted to the newer and more shiny Fallout 3 engine. The limited edition of the game contained many fun items, some you care about and some you don’t. Of those, the most interesting is a bonus disc chronicling the development of Obisidan’s new take on the post apocalyptic wasteland and more importantly Las Vegas in that land. Above is the 8-part, almost an hour documentary on Fallout New Vegas.